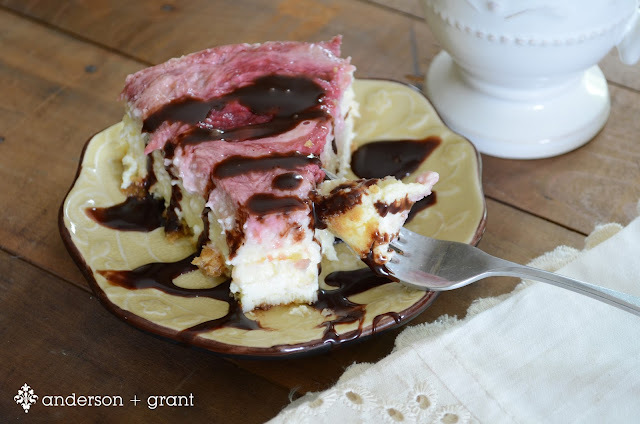 My mom's birthday was last Wednesday, and when I asked her what she'd like for dessert, she told me cheesecake, raspberry or strawberry cheesecake. 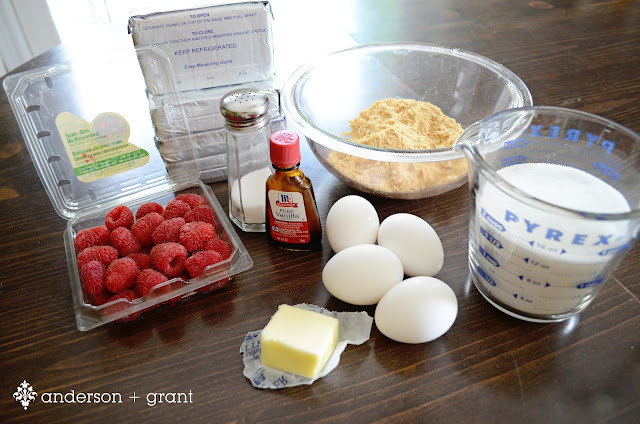 I decided on raspberry and set out to find a great recipe on Pinterest, which I thought would be an easy job. 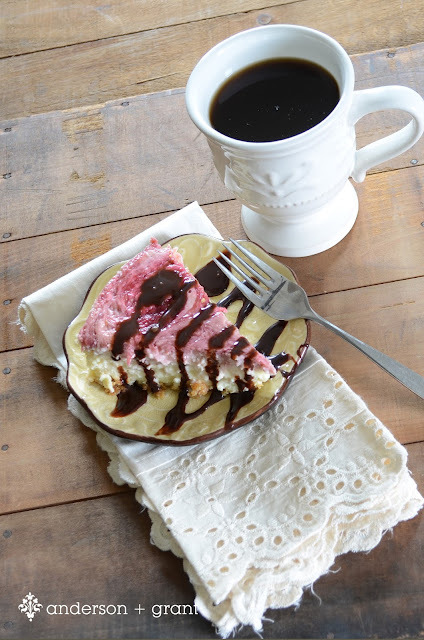 Would you believe that finding a recipe for a great raspberry cheesecake is hard? Many of the pictures were just that....pictures...no recipe. 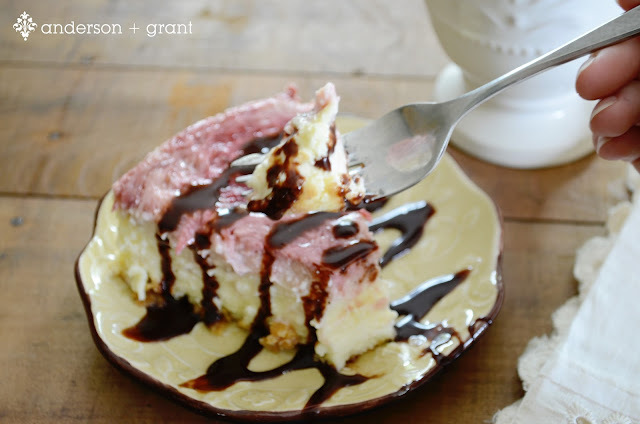 Other pictures linked to recipes but the cheesecake was either written in metric units, which I can't convert, or were no-bake versions, not what I was looking for. 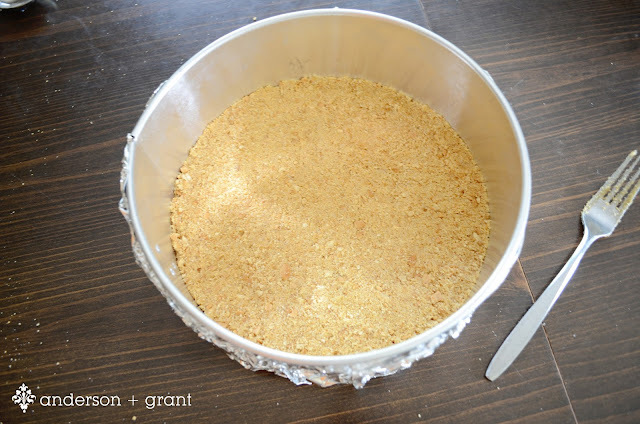 Finally, I turned to my trusted friend Martha (Stewart) to help me bake my cheesecake and once again, she didn't disappoint me. Preheat your oven to 350 degrees. 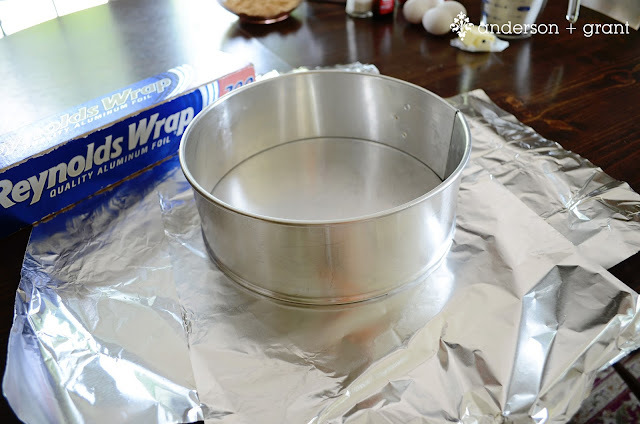 Wrap the exterior of a nine inch springform pan in a double layer of foil. 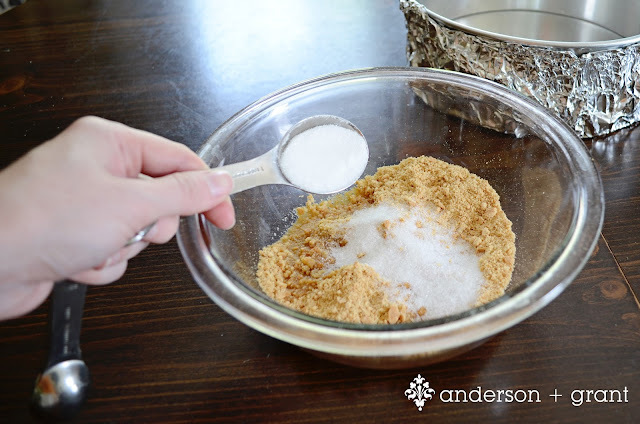 Stir together graham cracker crumbs, melted butter, and 2 Tablespoons of the sugar. Press firmly into the bottom of the pan. Bake until set, about 10 minutes. Let cool on a wire rack. Process the raspberries in a food processor until smooth, about 30 seconds. 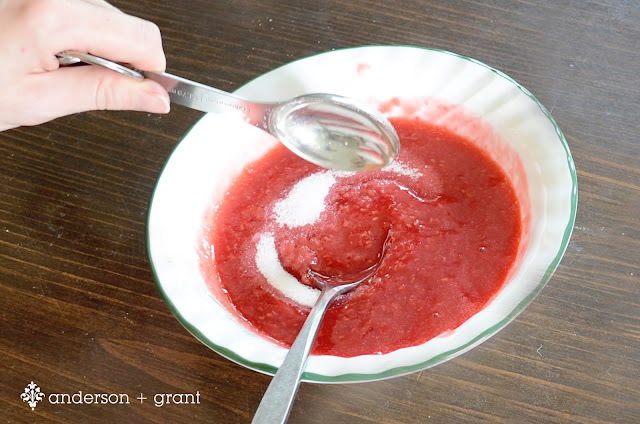 Martha suggests straining the pureed berries to remove the seeds, but I just left the raspberries as they were, seeds and all. 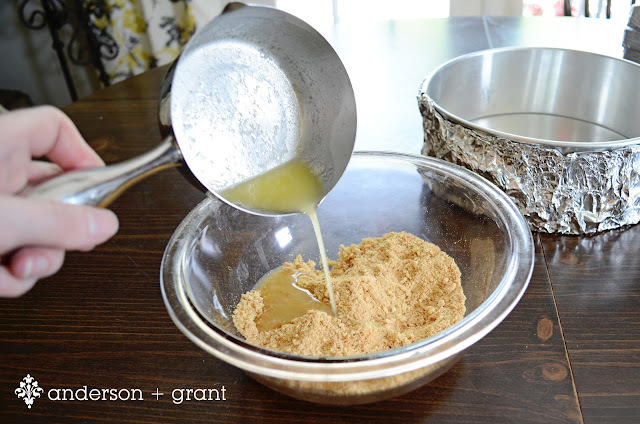 Whisk in 2 Tablespoons of the sugar. 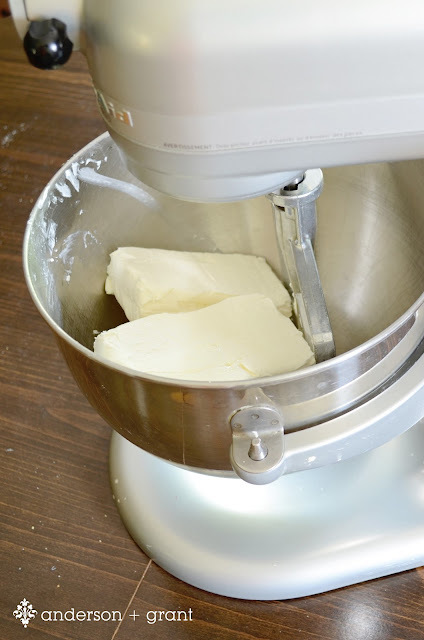 Mix the cream cheese with a paddle attachment on medium until fluffy, about 3 minutes. Reduce to the speed to low and add the remaining 1 1/2 cups of sugar in a slow, steady stream, then add the salt and vanilla. 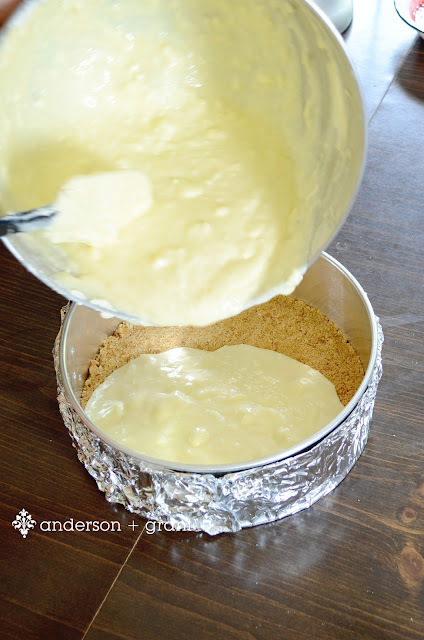 Add the eggs 1 at a time just until combined....Don't over mix the batter. 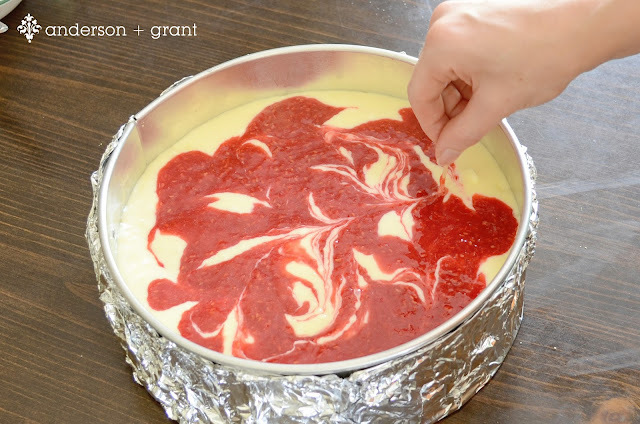 Drop the raspberry filling with a teaspoon on top of the cream cheese mixture. 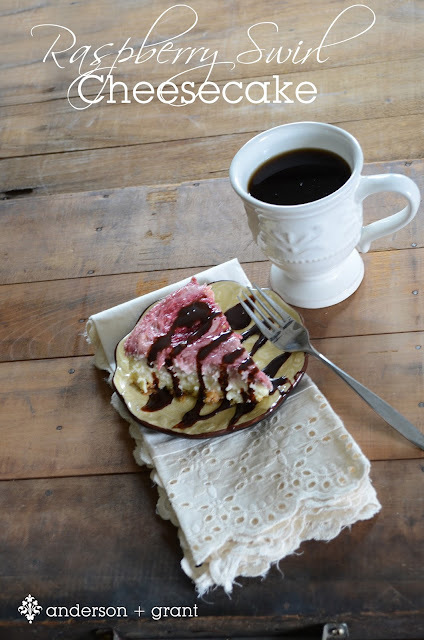 Martha suggests using a skewer or toothpick (which I used) to swirl the raspberry and cream cheese together. The toothpick doesn't get down far enough into the cream cheese, in my opinion. After I put it in the oven, I realized using a knife would have worked better. 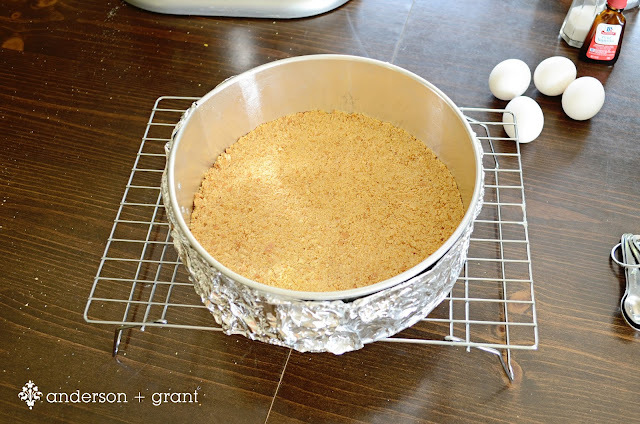 Set the springform pan into a shallow roasting pan and place it in the oven. Ladle in boiling water halfway up the sides of the cheesecake pan. Bake for 1 hour and 15 minutes (Check it after 1 hour to make sure that it is not done....mine was still not done in the center and so I left it in for an additional 15 minutes) The cake should be set, but the center will still be a little wobbly when it is done. Cool the cheesecake on rack. 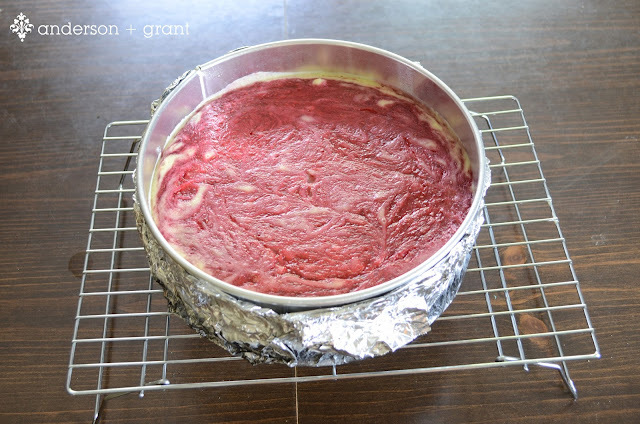 Refrigerate the cheesecake after it has cooled for 6 hours to overnight. 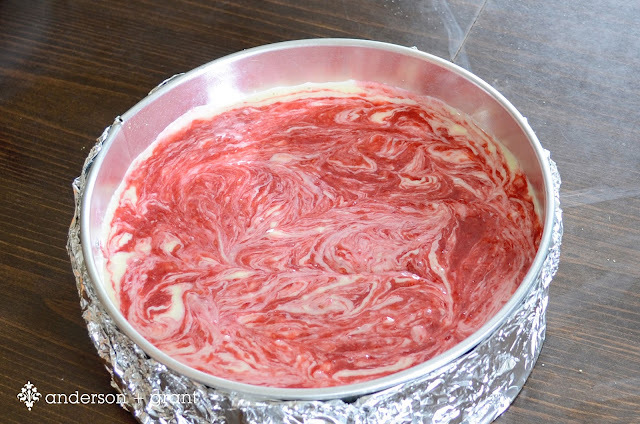 Run a knife around the edge of the cheesecake before removing it from the pan to get it out cleanly. Slice and serve. I drizzled a little chocolate topping over the slice before serving it....delicious, right? Don't you think this would be great with strawberries or blackberries? Or a mixture of all three?